If you're a small to medium-sized business based in Perth or the surrounding areas, and you don't have a website, or if you have an old and outdated website, then why not get in touch with us at Wolfberry Media. We specialise in providing beautiful, cost-effective and results-driven websites for a range of businesses across Perthshire, Scotland. 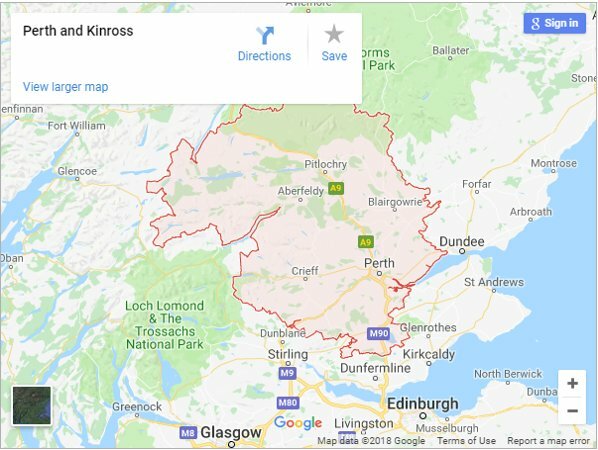 We are a small company based in Meigle, Blairgowrie, providing a range of website solutions for businesses in Perth, plus many of the surrounding areas including Scone, Kinross, Bridge of Earn, Crieff, Dunkeld, Stanley, Bankfoot, and Auchterarder, to name but a few. The web site design and web development services we can provide include simple brochure website, Content Management System (CMS) based websites, travel & tourism websites, websites for tradesmen, mobile websites, e-commerce stores, custom build websites and search engine optimisation. All of our websites are built with the mobile user in mind and we make sure that your site looks great across all types of device and screen size. Aside from websites, we can also provide services such as digital and online marketing, social media marketing, website development, website maintenance, website recovery, domains and hosting setup, email setup and website audits. "Great service and good communication. I am very happy with my new website. I can thoroughly recommend Kieran @ Wolfberry Media." For more details on the site we built for Dunkeld Cottages, you can view our portfolio page here.